This spring, you can create a fresh, breezy look without losing your individual style. Here are a few quick seasonal changes that will breathe fresh air into your wardrobe for the spring. Try loafers instead of lace-ups for casual flair. Wear a woven canvas or light brown leather belt instead of the dark leather belts you've depended on all winter. 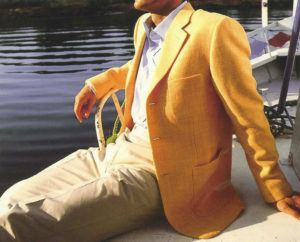 Bring out your brighter fabrics, whether in ties, shirts, or socks. Supplement your oxford shirts with equally well-tailored custom shirts made from any of our beautiful, open-weave fabrics for the comfort of breathability-without looking sloppy. Indulge in shirts built of lightweight cotton, linen, or blends of the two. Enjoy a pair of custom-tailored tan trousers, whether as part of a spring/summer suit or as a stand-alone item. 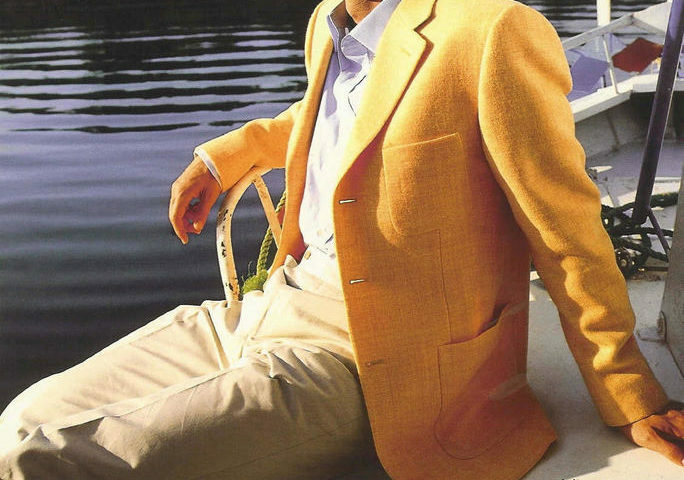 Consider a custom unlined or partially lined suit coat or sport coat, for occasions when you need the sense of presence a coat offers but not the heat of winter wear. When autumn comes again, you'll be ready to bring out your wardrobe staples in darker colors and heavier fabrics, but for now, enjoy the lighter feel of your favorite custom spring clothing. Creating outfits from black and white pieces leads to striking ensembles. When you add shades of gray into the mix, you'll have an ensemble that is at once visually arresting and monochromatic. Combine several gray tones for a lighter look that's perfect for sunny days and social occasions. Pair your custom gray suit with pastel shirts, or wear it with your all-purpose white and blue shirts. Bring in black and your darker grays for more formal occasions. Crisp whites or subtle off-whites like cream or ivory look fantastic with black. By combining your favorite black, white, and gray pieces, you have a myriad of wardrobe options that always coordinate-helping you look great without spending time searching for just the right shades that will work well together.